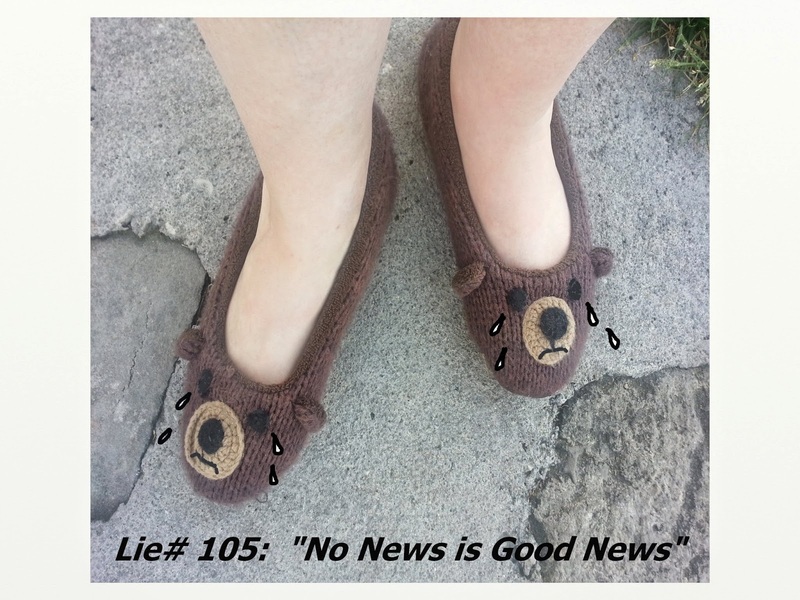 Cherdo on the Flipside: Lie # 105: "No news is good news"
Lie # 105: "No news is good news"
No news is good news? I reject that. Especially this morning. "I'll let you know when this building is going to collapse on your head." (No news is good news). Personally, this is never true for me...I'm a news junkie. You know that newspaper that is on your porch every morning? Delivered by that hardworking, early morning deliverin' paperboy/girl? I'm the chick standing there looking out the window and waiting, somewhat patiently, for that paper. This addiction started at a young age when I would listen to the news on the radio or watch hometown news (yay, WFMJ! WKBN! Channel 33!). Soon, I moved on to the hard stuff - printed news. Our paper in dear old Austintown always came around four o'clock, and I accepted that as being the delivery time; unchangable, like the alignment of the planets. It was perfect for all the young people who delivered The Vindicator after school. Conveniently, it also meant I got to the paper before my Dad, another news junkie, and I was adept and putting it back together perfectly. My Dad was also crotchety for minor things - like a wrinkled paper, or a paper with the sections in the wrong order. The Internet was like "free heroin for everyone!" with regard to the availability of news. News stories are attached to everything. When I open a browser - news. Check email? Headlines pop up. Sometimes, irritatingly so (one of the few blogs I wrote, then deleted, was about how many times I had to read that Peaches Geldof had passed away - I don't think Nelson Mandela got as much coverage). Which brings us to today, and I am standing on the sidewalk in my bear feet waiting, waiting, waiting. No newspaper. This is when it really hits home: I don't care how many ways you can deliver a story, I still want a printed newspaper. And I know that if this paper is not coming, I'll not see today's news in print, so I'm hoping it's just late. If I call, they'll just promise a credit. I don't want a credit, I want news. Help, I've Accidentally Eaten My Dog!! Comedy Night! Come Join Us! Why Can't I Find the Perfect Perfume?